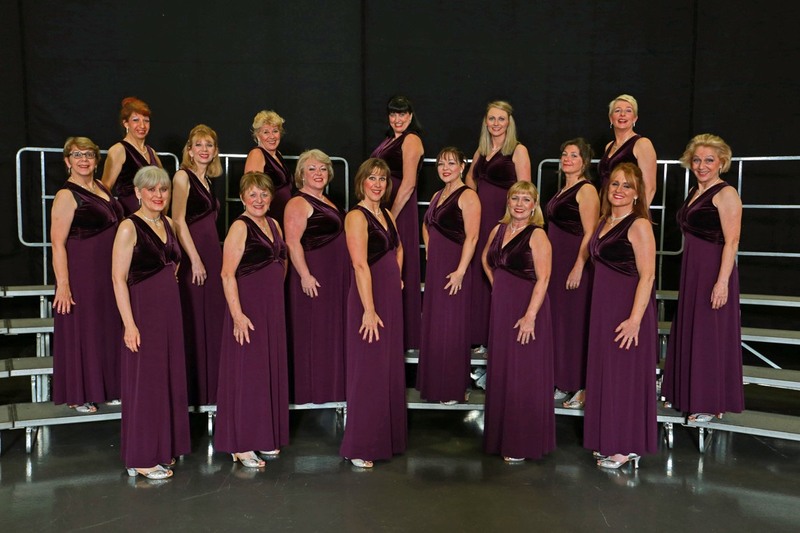 Ladies A Cappella singing for Aberdeen, Deeside, Donside and Aberdeenshire. Fed up with all the negative vibes of the daily news? 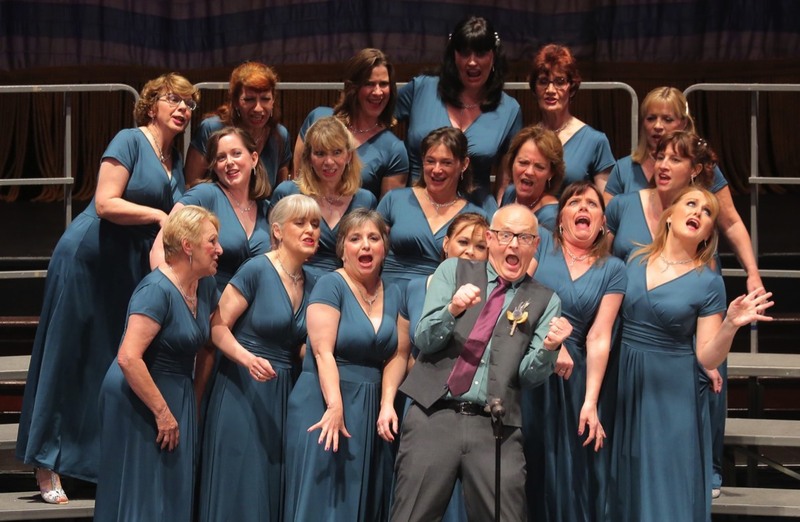 Searching for something new to do - Why not Take Up a Healthy Hobby and start singing with Albacappella? It's great wellbeing for the body and the mind. 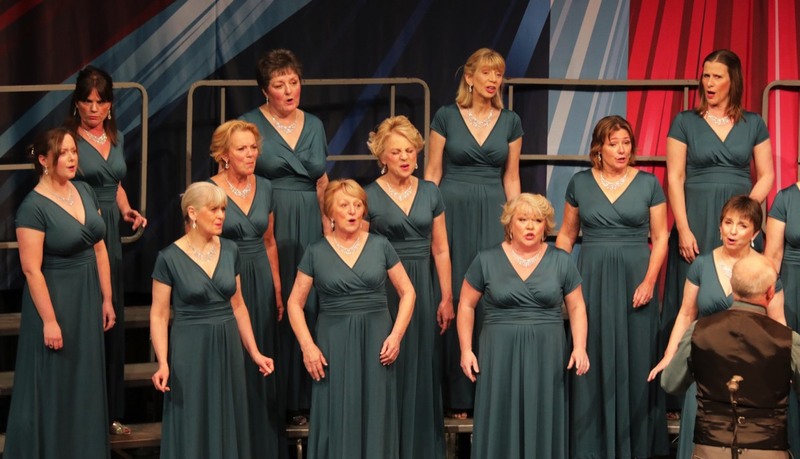 Ever thought about singing or harmonising? Joining a choir has never been more popular, and if you're inspired by "The Voice" "Pitch Battle" or "Naked Choir" on TV then maybe its for you. It's a great way to stay healthy, meet new people and share in a hobby that brings people all over the world of all cultures, together. Come and watch Albacappella practice our performances on a Wednesday evening. We're always on the look out for dedicated singers who want to share in this wonderful hobby. 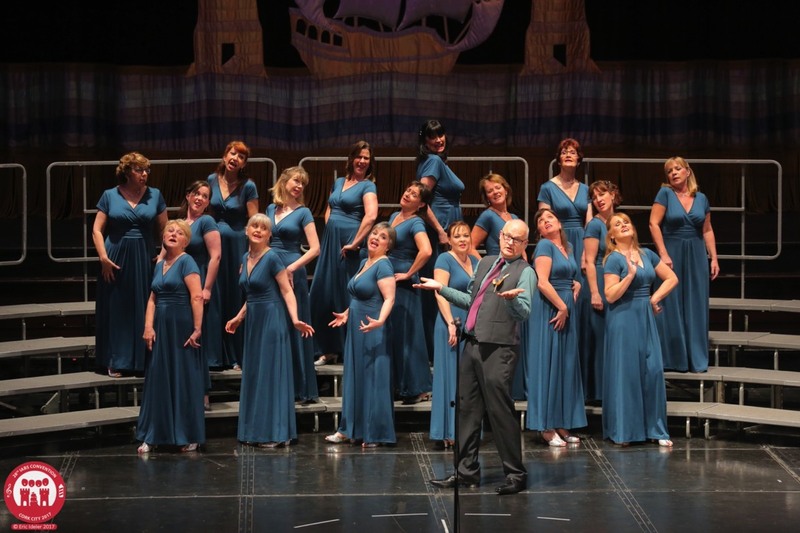 You don't need to be able to read music, or have any formal musical or theatre training - you do need dedication and commitment, a choir is the product of everyone in it. You could be part of Albacappella. Albacappella rehearse once a week to learn our songs, our singing skills, develop our confidence and have fun performing together. Albacappella are really honoured and proud to have won the Barbershop Chorus Class of the Aberdeen Music Festival 2018. Stiff competition from our neighbouring men's and ladies choruses made it a thoroughly enjoyable evening for the audience. Albacappella Love2sing a cappella melodies and harmonies - which simply put means we don't use musical instruments to provide any backing, its all un-accompanied singing. Our combined voices make the chord sounds you'd expect from instruments; the chords we sing sound perfect on their own! Albacappella are based in Deeside Aberdeenshire. 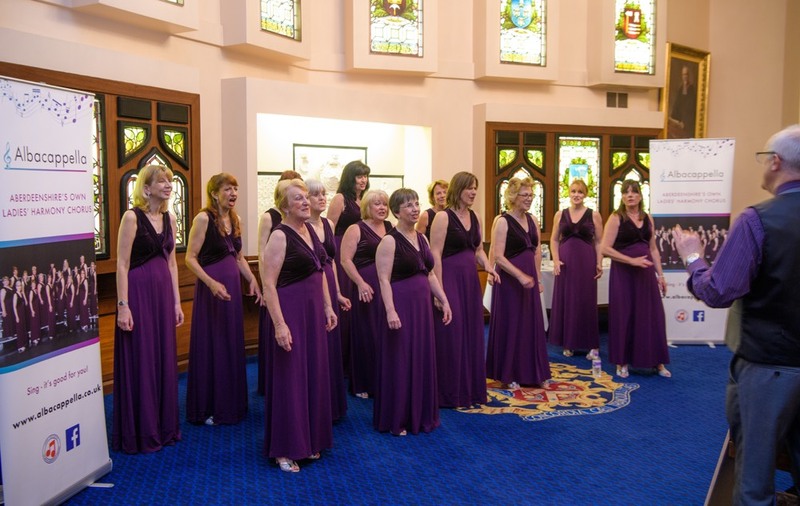 We are members of the Ladies Association of British Barbershop Singers (LABBS) a nationwide organisation for women's Barbershop Choirs and we meet on a Wednesday night to practice at the St Peter's Heritage Hall Peterculter. The images above are some that were taken during our live contest performances. It's great to share our music with appreciative audiences. 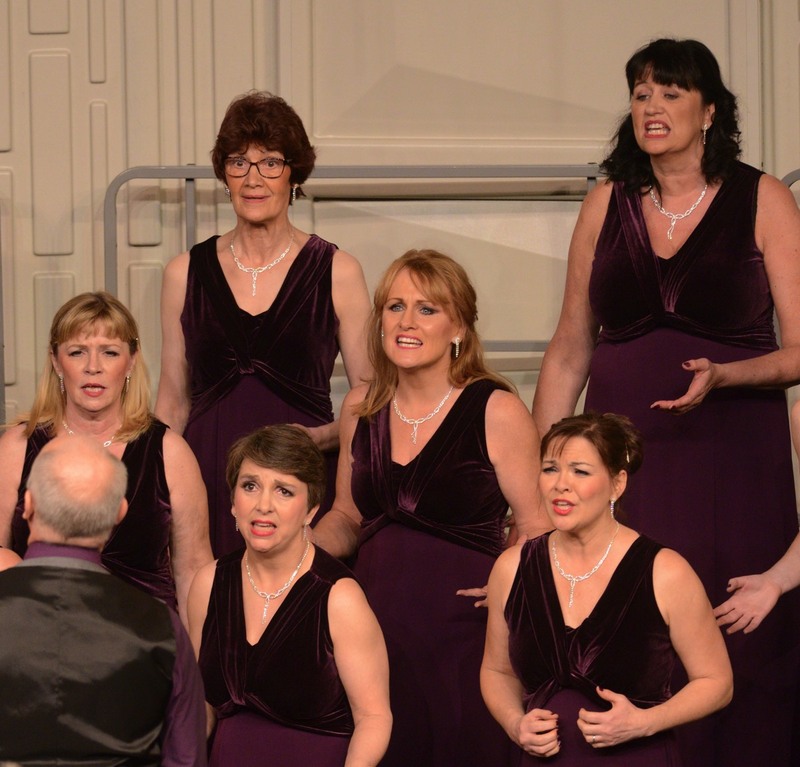 October 2017 we competed at IABS International Chorus contest. Follow this link. Visitors welcome to our rehearsals - contact us to let us know you are coming just in case we are performing that night. Help us raise funds for Albacappella. Albacappella have held a 4 week Love to Sing Course this January - everyone brushed off the Christmas cobwebs and started the year with music - it's healthy, it was fun and it's local. 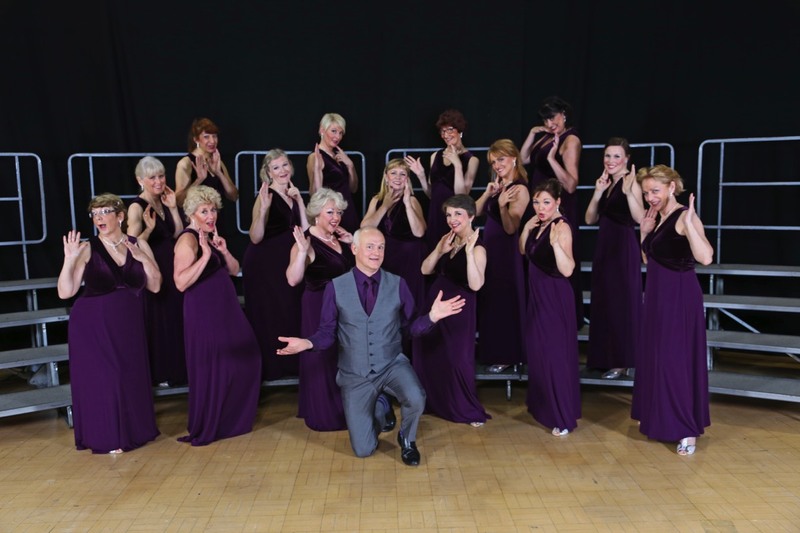 To enquire about visiting a club night or perhaps joining Albacappella Chorus, click here. October 2018 brought us to Harrogate for the LABBS Convention. Fantastic time was had by all. See our blog page. We had various Christmas shows and events that we shared our singing at Around Aberdeen and the Shire. Saturday 2nd December saw our Christmas Show, with guests including Granite City Chorus, Highland Harmony and the Ukeladies, as well as local singers and dancers. A great evening was had by all in a traditional cabaret style. Thanks to everyone who supported us. Albacappella enjoyed a fantastic convention with our visit to the Irish Association (IABS) Convention in Cork 6th-8th October 2017. It was a fabulous weekend of Music and Fun. We even managed a couple of songs with the Granite City Chorus whilst we were there! We dedicated one of our rehearsal songs on 27th September to "One Day One Choir" world peace day - which was on Thursday 21st September. Love2Sing - Come and join us any Wednesday night at Peterculter Heritage Hall. NEW Course starts 16th January 2019. Anyone interested in joining, returning to singing or just having a listen to see if it's for you are welcome to come to any of our rehearsals.